In the first three quarters, the automotive component supplier could record an increase in sales by 37%. EBIT was up by 22.1%. 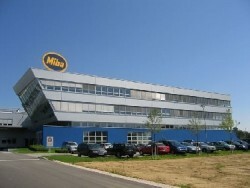 Miba an Austrian engine and automotive company, continues its path of growth. When compared to the same period last year, consolidated sales in the first three quarters of 2011-2012 (February 1 through October 31) soared by 37 percent, to € 429.6m. EBIT (earnings before interest and taxes) of € 50.2m was 22.1 percent higher than the comparison period for the previous year.